Need WooCommerce UPS Shipping capability? You got it. You’ve found the original UPS Shipping extension for WooCommerce. Rock Solid. 100% bug free. Backed by unbeatable support. WooCommerce UPS Shipping Pro provides your store with full UPS shipping estimates, and it’s easy to install and configure. 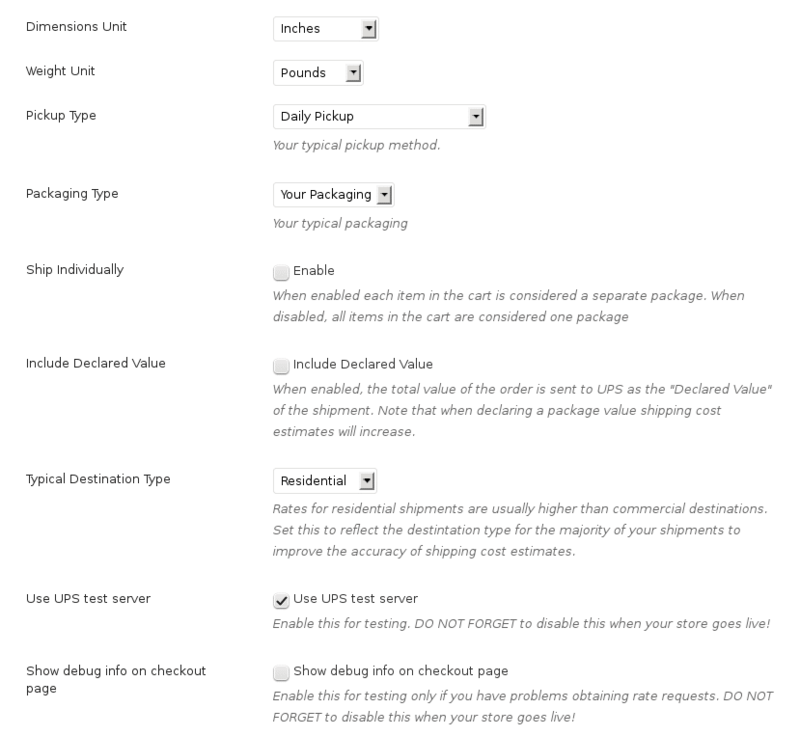 Configure the settings with your UPS API key, select the shipping methods you want to offer, and you’re done! From that point on your store calculates shipping based on your products’ dimensions and / or weights and provides your customer with a list of shipping methods and prices. Lets you add fees that are added into the UPS rates. Fees can be a flat rate or percentage of the shipping rate. Supports shipping a product in multiple packages, you can optionally define one or more packages at the product level. Also comes with 5 star support via email and phone! Added automatic residential/commercial address detection - works in the USA only. Tweaked for better negotiated rates support. Added the ability to use only the weight when requesting rate quotes from UPS. With this setting enabled no product dimensions are required. Corrected issue where Shipping Country might not be detected properly. - Updated the API URL. Thanks to Leon Lyazidi, Director, LP Media Consulting, for assistance on this matter! Added box that links to IgniteWoo.com in the UPS Shipping settings page. Added a glaring message on the plugin config page to remind people that UPS cannot quote rates without weight and dimensions. Fixed return in shipping calculation function so that object vars are set to be empty. Adjusted one hook to run later via "wp" instead of "init" - eliminate errors where WooCom cannot get an order status because post type is not yet defined.